So your HT is getting a little old and you’re looking for an upgrade? Or is it that you’re looking to try out the greener pastures of UHF and access VA3XPR for the first time? Well, either way, the Central Toronto Amateur Radio Club (CenTor ARC) has a deal for you! It’s that easy! 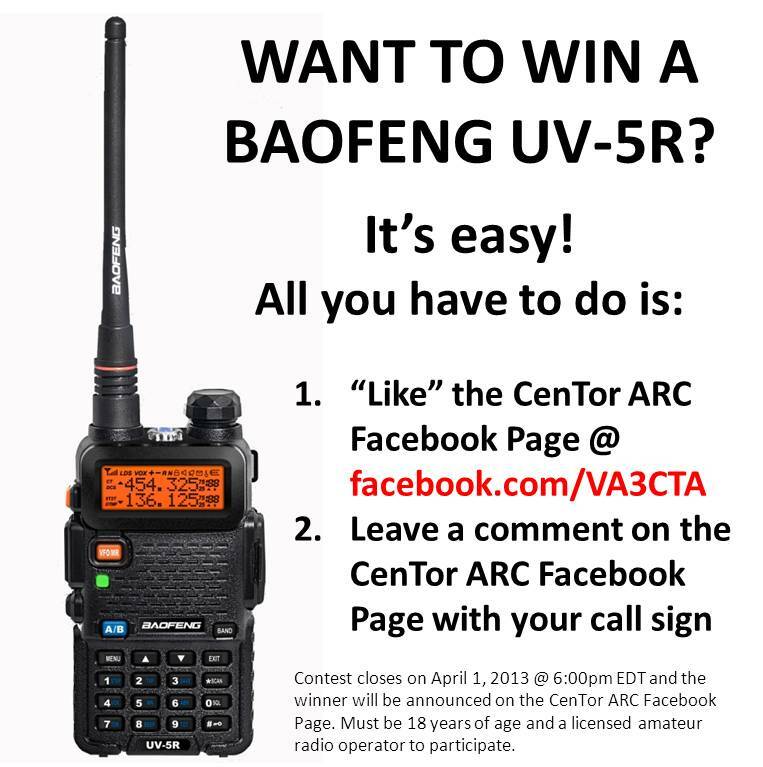 The contest closes on April 1, 2013 @ 6:00pm EDT and the winner will be announced on the CenTor ARC Facebook Page. To participate, contestants must be 18 years of age and a licensed amateur radio operator.